Since peanuts are one of the eight most common food allergens in the U.S.—affecting more than three million U.S. residents—peanuts don’t always get a whole lot of praise. However, the National Peanut Board is trying to change all that during National Peanut Month. According to the National Peanut Board, peanuts are packed full of health benefits, including good fats, minerals, vitamins, and antioxidants. However, your peanut product needs to do more than simply provide consumers with health benefits—it needs to stand out on the shelves to get noticed, especially as almond, cashews, flax seeds and other nuts and seeds grow in popularity. Custom printed labels can help to give your peanut products the attention they deserve, and upgrading your labels during National Peanut Month is the perfect time to do so. The secret to showcasing attractive, drool-worthy peanut products lies in the product label—and SheetLabels.com has plenty of high-end labeling solutions for food industries to choose from. View our large selection of food labels or jar labels, and don’t hesitate to contact us if you need assistance in finding the very best product label for your peanut product. 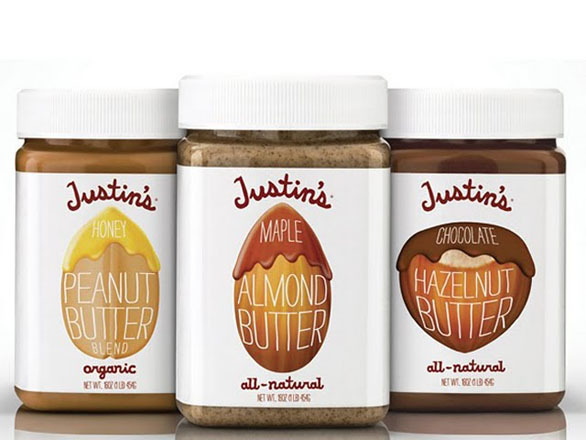 As an example, take a look at the timeless style of Smucker’s Natural Peanut Butter or Justin’s peanut, almond, or hazelnut butter. Any enticing peanut butter label allows the natural look of the peanut butter to shine through. Whichever type of label style you choose, you need to make sure that your peanut butter product uses all temperature labels (for refrigeration). However, other peanut products that do not require refrigeration allow for more lenience. 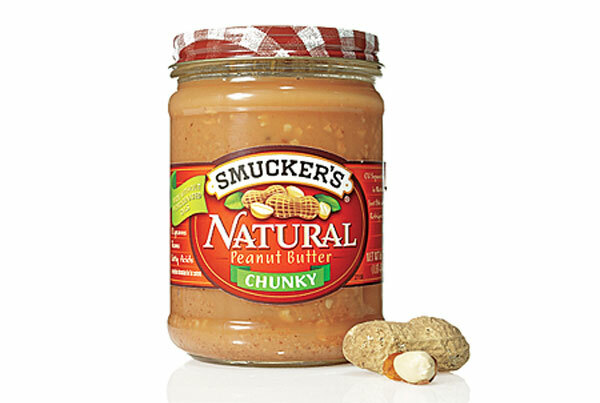 · One twelve-ounce jar of peanut butter contains approximately 540 peanuts. · Any product that goes by the name of peanut butter must contain at least 90 percent peanuts. For this reason, almond butter, cashew butter, or sesame butter are referred to as nut butters rather than peanut butter. · On average, peanut farms are 100 acres. · Two of our former U.S. presidents were peanut butter farmers, including Jimmy Carter and Thomas Jefferson. If you really want to grab the attention of your consumers, we dare you to use your labels to share a recipe for the very best peanut butter and jelly sandwich! Today’s shoppers love instant gratification, which is just one of the many benefits to using promotional labels or instant redeemable coupons. National Peanut Month is the perfect time to raise awareness about the health benefits of eating peanuts or peanut-containing products, especially when you use coupons or discounts to encourage customers to purchase your products. Use our Removable White Uncoated labels, which are inkjet, laser, and offset printer-friendly. Additionally, they can be printed as cut-to-size labels or sheet labels. Learn more about the benefits of using promotional labels here. If you’re ready to place an order for custom printed labels, don’t hesitate to contact the team at SheetLabels.com for assistance. We look forward to working with you during National Peanut Month, and all year long. If you spend a great deal of time jarring and canning food products such as homemade jam, apple butter or jelly, you may be ready to take your jarred or canned goods business to the next level by selling them on Etsy or at farmer’s markets. However, FDA rules and regulations must be taken into consideration before you begin selling handmade goods, and there are some important things you need to know when creating your product’s customized labels. Below, we’ll discuss several important FDA rules and regulations for selling and labeling handmade goods online or at farmer’s markets. Homemade or handmade products must meet FDA rules and regulations, but they must also meet state-specific Cottage Food Laws as well. Before you begin prepping your homemade items for selling to the public, get familiar with your state’s Cottage Food Laws to ensure that you’re able to sell homemade items publicly. Additionally, your state’s Cottage Food Laws will tell you where you’re allowed to sell your homemade items. For example, the state of Minnesota allows homemade sellers to sell their products online, at farmer’s markets, at public events (such as fairs), and out of their homes. However, restaurants, roadside stands, and retail stores are all prohibited. If you’re selling your products online, we recommended including a full list of ingredients and any potential allergens (such as dairy, eggs, nuts, or wheat) on your product’s e-commerce page. You should also be sure to include a disclaimer if your home or packaging facility processes any common allergens, or if shared equipment is used. Additionally, we recommended displaying a larger printed ingredient list and allergen information when selling products at fairs or farmer’s markets. If you’re new to jarring and canning, we recommend that you attend a home canning class if you plan to can and sell homemade goods to the public. The National Center on Home Food Preservation is another great resource for beginner sellers. The process of ordering your jarring and canning labels from SheetLabels.com is easy and hassle-free. Create high-quality printed or blank canning labels for any of your homemade goods and let SheetLabels.com take of everything so you don’t have to. We’ll custom print your message, logo, and more to help you create the best-looking labels around. Plus, our printed canning labels are available as sheets, rolls, or individually cut labels. Alternately, our blank custom labels are available as sheet labels, which can easily be printed from the convenience of your home if you choose. Check out some of our recommended jam template designs for printing homemade jam labels at home. February is a busy month filled with Salt Awareness Week, National Heart Health Month, and National Burn Awareness Week. Plus, we can’t forget about Valentine’s Day on February 14! But did you know that February is also the month of National Agricultural Week? National Agricultural Week takes place from February 5 through 11, making it the perfect time to update your agriculture labels with high-quality cheese, dairy, and egg labels from SheetLabels.com. When you need to print waterproof labels and temperature resistant labels for your high-end agricultural packing needs, SheetLabels.com can help. Below, learn more about our durable agriculture labels for your cheese, dairy, egg, or meat products. Today’s shoppers are just as interested in non-dairy or lactose-free cheeses as they are cheeses made from real dairy, and our high-quality cheese labels are perfect for any of your cheese labelling needs. Whether you need printed or blank cheese labels, we have a variety of options for you. Our printed cheese labels are branded with your company name, logo, and product information, and are available as sheet labels, rolled labels, or cut-to-size labels. Our blank cheese labels are another great option when you need to print waterproof labels. Choose from our SL111VS Vertical Slit labels; SL512 8.25” by 11” labels; SL105 1.75” by 0.5” labels; SL107 1.67” Circle labels; SLS09 3.333” circular labels; SLS02 5.8125” by .656” labels; SLS01 3.065” by 1.8375” Rounded Corner labels and our SLS04 4.625” labels. Any of these labels can also be purchased as printed labels. Whether you need milk labels for cow, goat, almond, rice, coconut, hemp, soy milk, or any other dairy product—we have a huge selection dairy labels for you to choose from. Our dairy labels are available as printed sheet labels, roll labels, cut-to-size labels, or blank sheet labels. Regardless of whether you need your labels ordered blank or printed, SheetLabels.com offers labels in a variety of shapes and sizes for any of your dairy product labeling needs. After you select the label of your choice, you can choose a label material that best fits your product. For example, our SL100 2.625” by 1” Rounded Corner labels are available in materials such as White Uncoated, White Gloss, Vinyl Laser Weatherproof, Removable White Gloss, Brown Kraft, Fluorescent Red, Natural Cream, and as even more materials! Eggs are delicate products that require durable, sturdy packaging. And the same goes for egg labels! Our durable egg labels are available as printed labels or blank labels. Our blank labels are available as sheets and our printed labels are available as sheets, rolled, or cut-to-size labels. Choose from a variety of shapes, sizes, and materials to accompany your egg products. Available egg labels include our SL111VS labels, SL512, SL105, SL107, SLS09, SLS02, and SLS01 labels. When you’re ready to print waterproof and temperature resistant agriculture labels you can count on, look no further than SheetLabels.com. Our quick turnaround time, unmatched quality, and dedication to serving our clients make us some of the best labeling experts in the business. If you have any questions about our products or materials, don’t hesitate to contact us to learn more. We’re looking forward to working with you! As a startup business there are quite a few things that you really need to hit a homerun with. You already know that you have a good idea, but now you need to think of ways to get the brand seen and heard. In order for your startup to be a success you and your team need to find ways to stand out from the crowd. A products branding and packaging should be considered very early on because they are extremely important and can literally make or break your startup. Starting early gives you the chance to try out different versions of your packaging and labels. It also allows you the time you need to observe how people will react, if the packaging catches the hurried consumer’s eyes, and if your package is memorable. The face of a product is the package, which is one of the determining factors that will come into play with sales. Some things that you should always remember when brainstorming ideas is that your product package should indicate the brands image and personality, it must be informative and precise, and the labels should show consumers the ease of use so they recognize how it can improve their lives. The brainstorming process is the perfect time to ask friends and family what they think your package should look like. This will give you some additional ideas from people who will be looking at it from a different angle than your team is. A question to ask your team is how can you create a unique box opening experience? Being different stands out and has been the key to many successful brands. How can you turn the most basic act of opening a package into a full and exciting experience? You could consider adding some extra surprise goodies in the package, or turning the box into a fun puzzle for them to open. Coming up with these ideas to stand out can give your startup a big boost when it is time to start selling. Brainstorming ideas for your packaging can be one of the most trying times of a new startup. There are numerous things that need to be considered, including colors, fonts, layout, and the information presented. The color pallete that you decide on should be easy on the eyes and should be colors that invoke good feelings (psychological properties of colors). The package should tell consumers what they should expect and why the product is the best option to make their life better. You need to make sure to not overdo the package or label, a surefire way to turn people away is having too much information which can make it difficult to read. Presentation is everything, so initial research after you have a few ideas can help you refine these thoughts. Look at some products that you would consider competition and see what stands out. What colors are they using? Is their message clear and simple? How do they tell the consumer why the product is significant? Identifying all of these traits with a competitor’s product will facilitate you to make tweaks to your initial ideas. After determining what your toughest competition is doing, you can come up with ways to make your package even better. If you notice some key information about a similar product that your competitor is not telling people about on their labels make sure that you make it a prominent point of yours. Mock-ups of your package can be an indispensable tool for deciding on the final boxed product. When the product is first seen by the customers, the general impression should be a psychological fulfillment and a solution where your product is the answer. The mock-ups of your favorite ideas can give you a chance to test the package out on actual consumers. A good way to test these packaging mock-ups out is to set up a table at local trade shows, farmers markets, and craft fairs, etc. This will give you better insight into what package design best resonates with buyers. This is also a good chance to do some A/B testing on your package mock-ups. This works best by placing the product out for display with the different packaging and label sizes all right next to each other. Doing this you can see if one design is selling much better than the others, and this can help you decide on the final end product packaging. If one design is resonating more with the majority of consumers you will have an easy conclusion to reach. After you have spent the time coming up with the ideas, created the design, and did some testing with mock-ups you will know how the product should be packaged. Now it is time to make the store shelf your product billboard. Consumer purchases are heavily swayed by packaging so when you get the package on the shelves people will give it a try if it truly stands out and conveys ease of use. Don’t expect the product to fly off the shelves immediately, but it will start selling if it stands out. Once it starts selling and people like it, they will spread the word for you. They will tell their acquaintances and family, who in turn will continue passing around the news. This is how a brand grows and becomes a success.